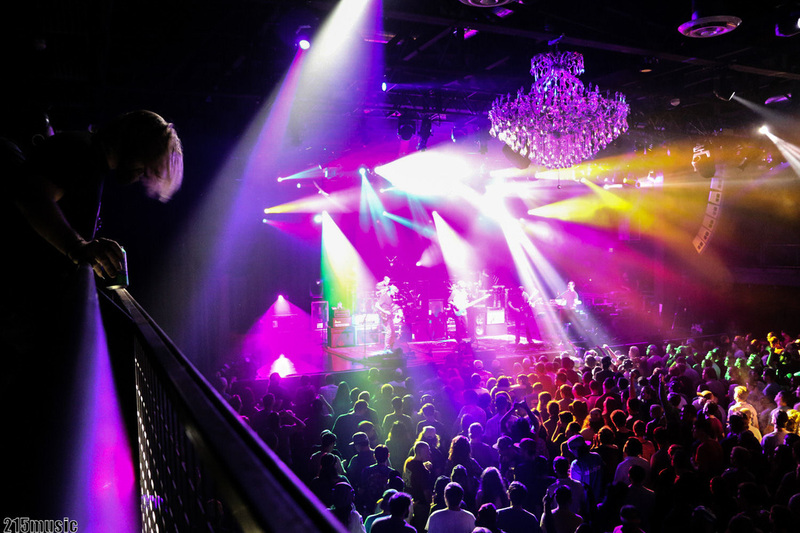 Umphrey’s launched their Halloween run in rousing fashion on Thursday night at the Philadelphia Fillmore, the first of three consecutive nights at the venue. After a month-long break from touring, undoubtedly a welcome opportunity to recharge the batteries of this road-tested sextet, the pre-weekend crowd was treated to some wonderful improvisation, silky grooves and of course, RAWK! The first of two sets kicked off with the uplifting “Glory”, allowing the crowd to settle in to an absolutely gorgeous venue that Jefferson Waful, lighting director and recent Philly transplant, will make magical over these three nights. An extended version of “Plunger” followed, marking the evenings first of many improvisational moments, continued later in the set “The Linear” and “#5” later in the set. The set closed with the fun and groovy “2nd Self” and sent the band to the locker room for a 30-minute break to regroup for one more set of music. Set two kicked off with King Crimson’s “Red”, missing from rotation for 485 shows but returning in rocking fashion and adding to the stats of several die-hard UM fans in attendance. The remainder of the set was nothing short of spectacular, featuring segues in and out of songs and three extended jams. Several of our crew walked away saying that the 17-minute “Ringo” and 18-minute “Phil’s Farm” were the best versions they had heard. “Wappy Sprayberry” was super funky and also extended into improve territory. The “Hurt Bird Bat>Upward>Hurt Bird Bath” sequence provided a brilliant tension>release segment that closed the set over the final 22 minutes. In our preview we joked about meeting us on “The Floor”, which is where we spent our 2nd set and also how the band ended the show for an encore. Round 1 complete. Round 2 tonight. Are you prepared for what comes next? !